CAPE CANAVERAL, Florida -- There will be a Full Moon on July 12, 2014 - but not just any Full Moon - it is a Super Moon that is also known as a Thunder Moon or Buck Moon. The Moon will be 99.7% full on that day. The moonrise over the Atlantic Ocean on Florida's east coast does not occur until around 8:30 p.m. Eastern Daylight Time (with a few minutes deviation depending on your exact location.) 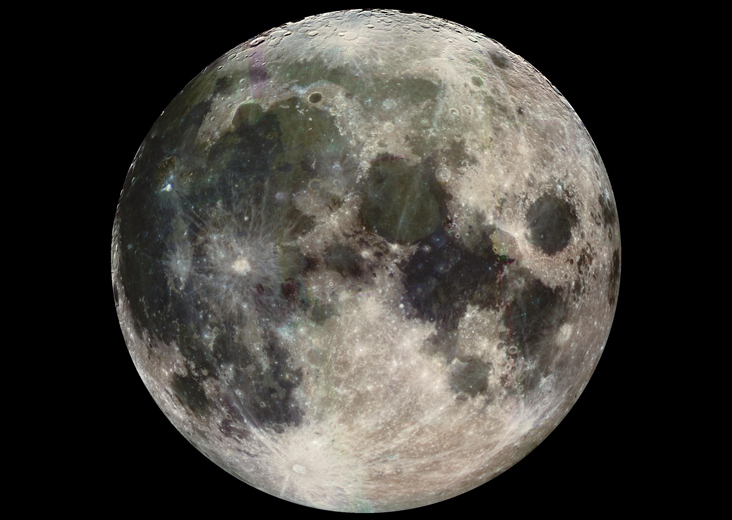 The moon will set around 7:52 a.m. on the morning of July 13, 2014. For those planning a stroll along the beach to watch the Full Moon, the Full Moon brings along with it a 4-foot plus high tide that will occur around 8:41 p.m. Eastern Daylight Time, with a few minutes of variation depending on your exact location. Why is it also called a Thunder Moon or Buck Moon? These moon names are associated with seasonal occurrences that happen in July. Male deer, known as bucks, begin to sprout their antlers which is why it is called a Buck Moon. Thunder Moon gets its name from the summer thunderstorms that happen in July. What's so special about this July 2014 Super Moon? According to NASA, a Super Moon occurs because the Moon is in an elliptical orbit around the Earth. When the Moon is closest, it is at its orbital perigee, which is why a Super Moon is also known as a Perigee Moon. A full moon at its closest point to Earth definitely will be big and bright. But it won't look much, if any, different than a "normal" full moon and will not have any readily observable effect on our planet except perhaps slightly higher tides. When is the best time to watch the Super Moon? Low hanging moons near the horizon appear larger to humans. So the Super Moon will appear biggest to the naked eye on the U.S east coast during and just after the moonrise around 8:30 p.m. on July 12. If you live in a different time zones, the time would be the nearly same in your local time if you are on Daylight Savings Times plus or minus a few minutes. Where is the best place to watch the Super Moon? The Super Moon will be visible around the world. The best place to watch is wherever the viewer has a good view of the horizon, lack of artificial lighting, and no local cloud cover.